Swingtime Dance School is a premier dance school in Marrickville, Sydney that offers high-quality dance classes such as Swing, Rock 'N' Roll and Balboa. Swingtime Dance School is a premier dance school in Marrickville, Sydney that offers high-quality dance classes such as Swing, Rock'N'Roll and Balboa. We run Swing, Rock'n'Roll and Balboa dance classes in Sydney's inner west, our fun and friendly classes cater to the raw beginner right through to the advanced dancer. We've been teaching people to dance for many years and our aim is to make our classes as enjoyable and relaxed as possible, so if you've been wanting to give it a go check out our classes page and we'll see you on the dance floor. We welcome imaginative, enquiring people from all backgrounds who are interested in the endless possibilities of dance. When you take the competitiveness out of dance, everyone can just be themselves, no one competes with each other. Everyone at Swingtime Dance School is here to enjoy dance, for the love of art of dance. It’s not about trophies or medals, it’s about dance. Come in and have fun with us! 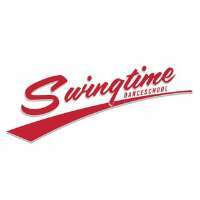 Visit Swingtime Dance School today and learn from the best dance school in Marrickville!